The current generation Renault Duster was launched in 2012 in India and globally the company introduced the second generation model, which was expected to be launched later this year. But the French manufacturer won’t introduce the new model instead the current Duster will be upgraded to meet the new safety standards. 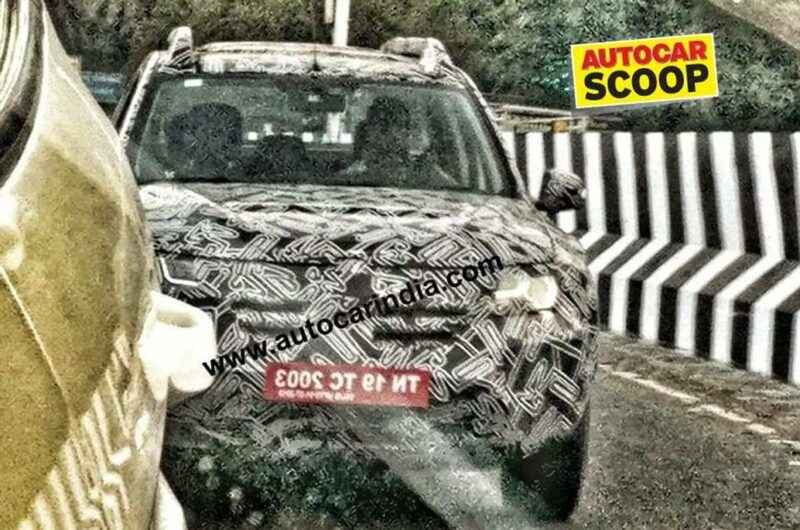 The test mule of Duster facelift has been spotted in India for the first time. The front gets lots of changes as the hood has been redesigned and it is placed slightly higher from the engine to meet the upcoming pedestrian safety norms. The bumper will also get a new design and the headlamp cluster will be same but it will get integrated LED DRLs. Apart from this, we can expect the top-spec model to come with LED headlamps and fog lamps. The Duster facelift model will get a new design for the alloy wheels. To continue the SUV theme, the company has also given roof rails. 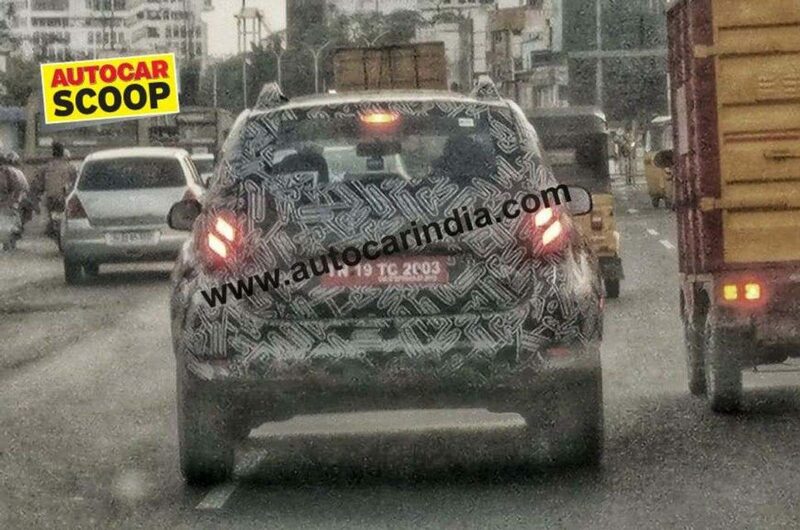 The changes to the rear are limited to the new bumper and maybe the company might offer LED tail lamps. The interior might get a new design theme and the quality of materials will go up compared to the current model. Some of the interior components are likely to be shared with Captur to lift the feel of the cabin. The infotainment system will be an all-new unit with connectivity options like Android Auto and Apple CarPlay. The instrument cluster is also expected to get a new design. Renault will update the facelift model with premium features like Sunroof, leather seats, soft-touch materials for the dashboard, automatic headlamps, rain sensing wipers etc. The safety features on the Duster facelift model includes dual airbags, ABS with EBD, rear parking sensors, passenger seat belt alert and speed alert also. The engine lineup will be the same 1.5 L diesel and petrol, but the company will update these engines to meet the BSVI emission norms. The 85 hp diesel variant will be discontinued and the transmission options will be 6-speed manual and AMT for diesel while 5-speed manual and CVT for petrol. 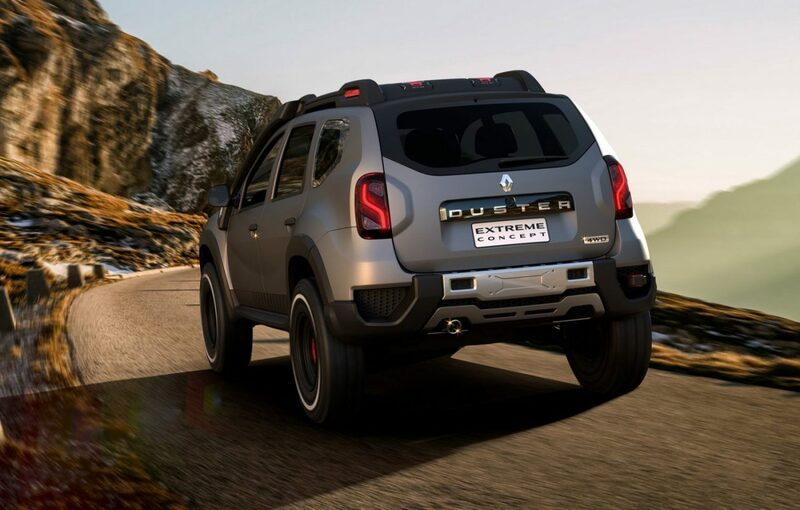 Renault is expected to launch the heavily updated Duster facelift early next year in India.